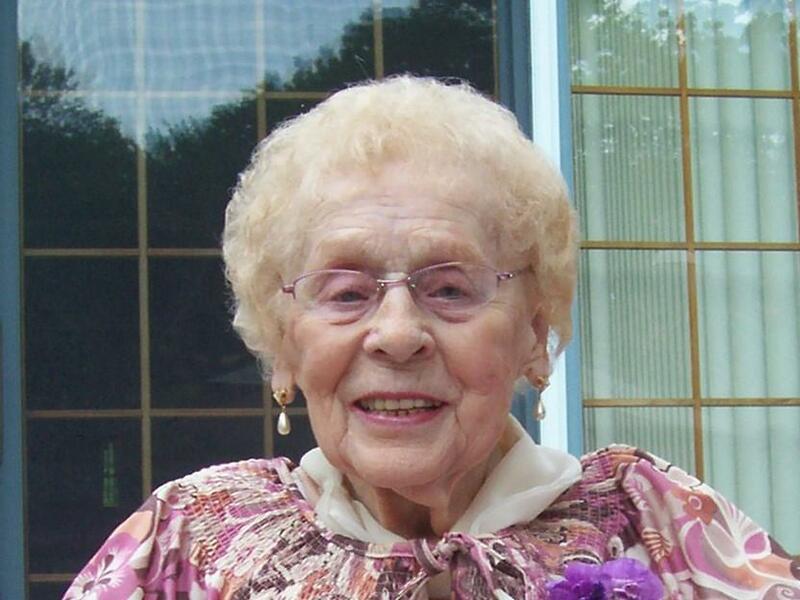 Edith (Edie) Martinelli, 98, passed away on January 11, 2018 at home surrounded by her family. She was born May 27, 1919 in Williston, Vermont, moving to Connecticut in 1941. She was the daughter of the late Edward and Mabel (Palady) Merchant. She leaves her husband of 49-1/2 years, her soulmate and love of her life, Alfred (Babe) Martinelli, her daughter, Judy Kirchner of Uncasville, her two sons, James Gauthier of Uncasville and Fred Martinelli and daughter-in-law Erin of Plainfield. She is also survived by her grandchildren Tracey LaRowe of Franklin, Massachusetts, Tina Main of Norwich, Jeff Martinelli of Tucson, Arizona and Shannon Gauthier of New Hampshire. She leaves her four great-grandchildren, all of whom were her pride and joy, along with several nieces and nephews. She was known as “Nan” by so many. She has two surviving sisters, Pauline Scovel of Canterbury and Susan White of Florida. She was pre-deceased by her siblings Howard, Clayton and Raymond Merchant, Ellen Thuotte, Agnes Lunt, and Kaye Ellis. Edie was a member of St. John’s Church in Uncasville. She worked at the Norwich State Hospital as a laundry supervisor for 33 years, retiring in 1983. Edie enjoyed reading, sewing, crocheting, and attending shows at the casino but her greatest joy was spending time with her husband and her family. She loved being part of her “sewing” group which included her sisters, her daughter and niece. There was much chaos during these get togethers when all the girls were talking and laughing at once yet they all knew what the other was saying. They also took daylong shopping trips together where the laughter and chaos continued. She was a cleaning fanatic and loved racing around in her fast cars. In lieu of flowers, donations may be made to Hospice of Southeastern Connecticut, 227 Dunham Street, Norwich. A special thank you from the family to her nurse, Dawn McDermott and her amazing team. There are no calling hours. A service will be held at St. John’s Church 22 Maple Ave., Uncasville on Saturday, January 20, 2018, 11:00 A.M.